I know, I haven’t posted the rest of the Tender Whisper kit. I’ve just been busy, like everyone else, LOL! In the meantime, I have a paper pack to give to you. I used the color pallette from the DSO February Color Challenge. There are loads of gorgeous freebies, you can check them out by clicking here. So far, I just have papers – I’ll probably make some elements later. 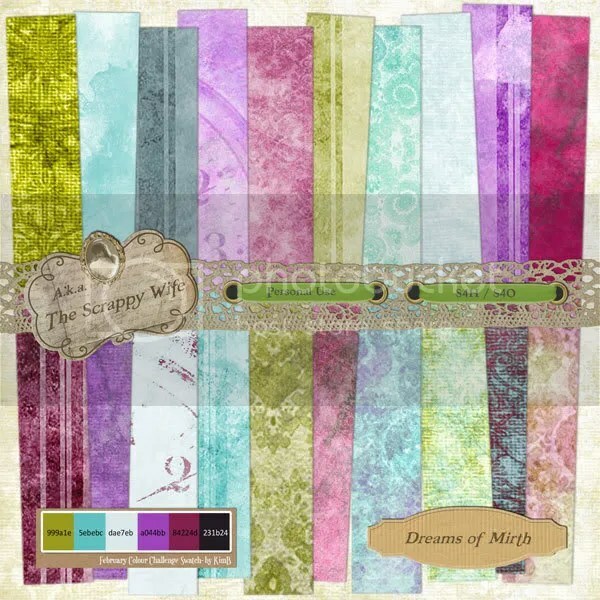 I got to test out some CU textures/overlays by Lisa Minor of Scrapdebris, and these papers are the result. I don’t know if these are available yet, but she (and other designers) have some great things available at wonderful prices. Check it out! Enjoy, and please, leave a comment!